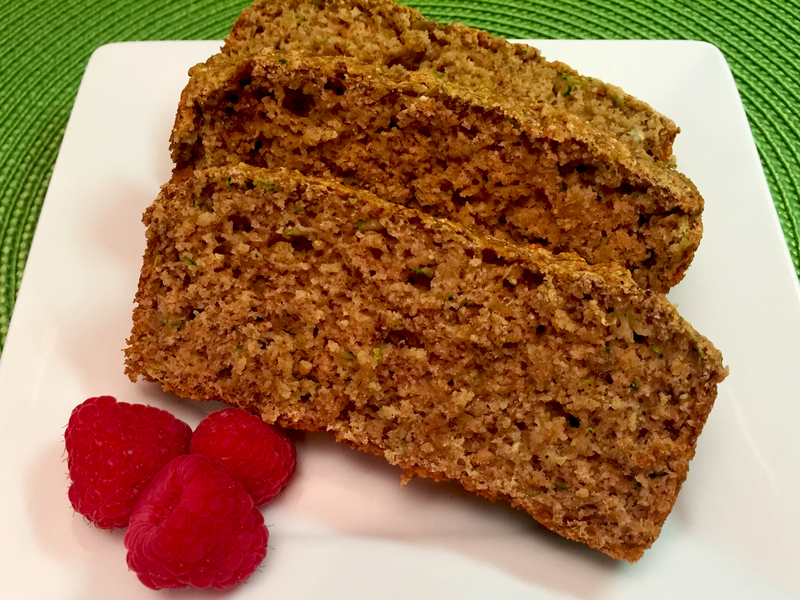 Amelia loves making dessert breads and I love eating them! 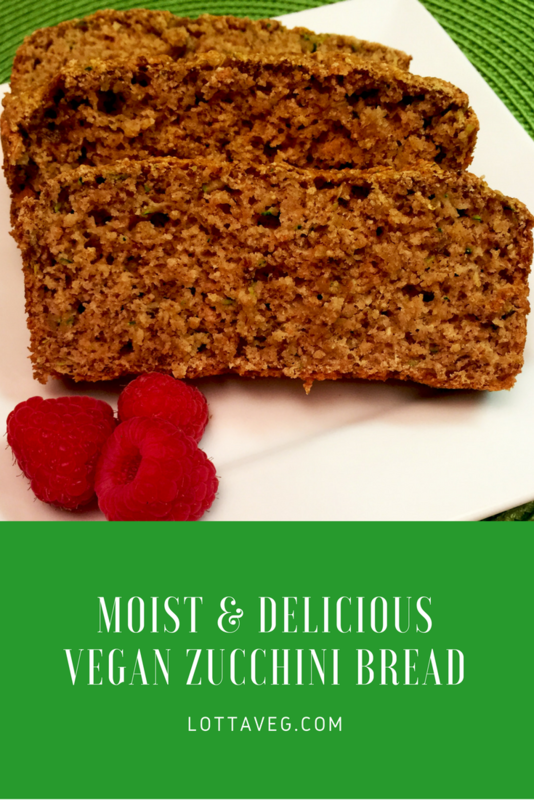 And this Vegan Zucchini Bread is not exception! We don’t make breads like this or our delicious Vegan Pumpkin Bread very often because we tend to eat them too quickly. But it’s a nice treat once in awhile, especially when we score some fresh organic zucchini. Be sure to drain off as much moisture as you can from the zucchini. You can always add extra moisture with almond milk, but you don’t want the batter to be too runny. 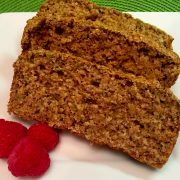 This bread makes a nice dessert, but you can also eat it for breakfast with a little fruit or vegan yogurt. This Vegan Zucchini Bread recipe makes a deliciously moist bread that's great for dessert or breakfast. Enjoy with a little fruit or yogurt. 1 medium zucchini grated, enough for 1 cup. Squeeze out any excess water. Prepare flax egg by combining flaxmeal with the water. Stir to combine. Let rest to thicken about 15 minutes. In a large mixing bowl add the flour, salt, baking soda, baking powder, cinnamon and nutmeg. Mix well. Add grated zucchini, sugars, applesauce and vanilla. Stir until just blended. The batter should be thick but not dry. Depending on the wetness of the zucchini add in 1/8 to 1/4 cup milk and blend. Pour batter into a loaf pan and bake for 45 minutes or until a knife inserted in the center comes out clean. Slice and enjoy with fresh fruit or vegan yogurt. Serving size is 1 slice. Recipe inspired by Ceara's Kitchen. Vegan BLT with Avocado My Diet, My Choice. Right?